Can I Sell My Canned Goods? Has anyone ever told you that your homemade jelly or salsa or other canned food is so delicious that you should sell it? In some cases, this is legal, but in other cases, it is not. In Kansas any canned goods sold to grocery stores or other distributors, or products sold across state lines, require a food processor’s license and cannot be produced in a regular home kitchen. 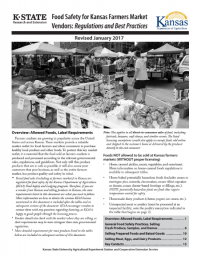 KSRE is again working with the Kansas Department of Ag and the Kansas Department of Health and Environment to put on regional workshops geared for current and prospective Farmers Market vendors, as well as a state farmers market conference geared for farmers market managers and related personnel. Registration for the regional workshops is $20. The cost includes lunch and vendors can bring their sales scale to get tested and certified for free by the Kansas Department of Ag. Lunch cannot be guaranteed if registering less than 10 days before the workshop. Locations and dates for 2017 are listed below. A website with more information and link to online registration is available from https://fs22.formsite.com/KansasDeptAg/2017FMWorkshops/index.html. 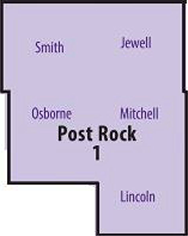 The State Conference will be held in Manhattan, KS from March 16-17, 2017. Contact Londa Nwadike, lnwadike@ksu.edu, for more information on the workshops and conference. K-State Research and Extension Farmers Market Site!